List Rules Vote up the ending themes that get stuck in your head (whether you like it or not). When you're working through a show with 70+ episodes, it's tempting to grab the remote and hit the fast-forward button during the long opening and ending sequences. However, there are some outro themes that are just too good to skip. Far from throwaway, anime themes don't get enough credit for all that they bring to a series. The best anime outros help to underscore especially intense ending sequences, as a familiar medley can provide viewers with a cathartic release of tension. While a good anime outro can't fix a bad show, it can serve to set the general tone of a series, and may even stay engrained in viewers' heads for years to come. The music of Cowboy Bebop is highly regarded as one of the best anime soundtracks ever composed. After listening to "The Real Folk Blues" by Seatbelts and Japanese singer Mai Yamane, you'll understand why the series's atmospheric jazz score is so highly praised. 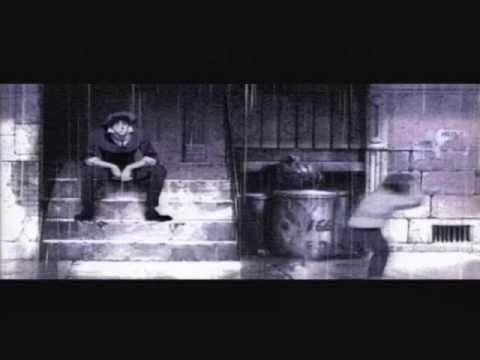 Despite the series's notable Western influence, "The Real Folk Blues" is one of the few songs in Cowboy Bebop that's performed in Japanese. Fullmetal Alchemist (2003) is one of those series that absolutely everyone should watch. While the original series outshines Fullmetal Alchemist: Brotherhood, the latter still has its share of worthwhile moments. The first ending theme, "Uso," by the Japanese rock band SID, is short, sweet, and incredibly powerful. 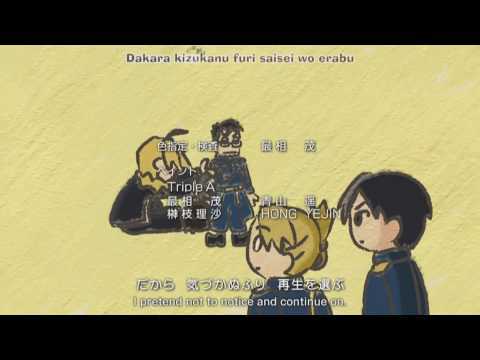 Paired with exquisite animation done in the style of children's drawings, the ending is a beautiful representation of the Elric Brothers' lost youth. 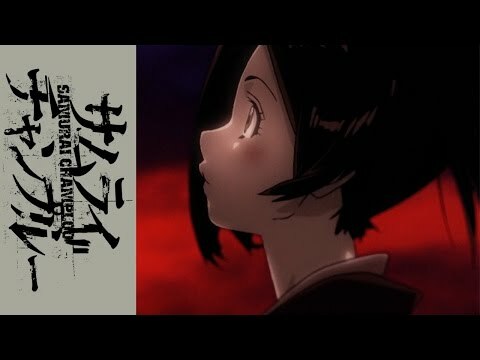 Much like Shinichirō Watanabe's previous series, Cowboy Bebop, Samurai Champloo's greatest strength is its soundtrack. 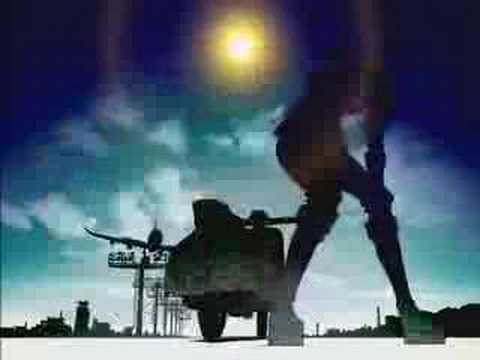 Although the series-opening hip-hop banger "Battlecry" often takes center stage, the ending theme, "Shiki no Uta" by MINMI, is nothing to sneer at. It's a beautiful song that contextualizes Fuu's determination to find her father, while offering a nice break from the series's usual stream of high-octane action. If FLCL is remembered for anything other than the show's breathtaking animation, it's the psychedelic soundtrack recorded by The Pillows. “Ride on shooting star” is catchy as hell, and is accompanied by the hilariously animated hijinks of Haruko Haruhara riding her signature Vespa, cut together with live-action POV shots of a scooter ride.